What makes someone have “emotional intelligence” in the real world? Amid all the chaos and negativity of today, it’s getting harder to stay open, feel positive, and remain empathetic for those different than you. 2. Self-reliance. Remember that you are a unique individual in charge of your own results and life. Self-reliance means that take charge of your life. That you know you are the one who is going to change things. You’ll never know your true self until you decide to more deliberately control your focus, time, and actions. 3. Self-confidence. Self-confidence is cultivated when you choose to express who you are and to believe in your ability to figure things out. That’s real confidence. 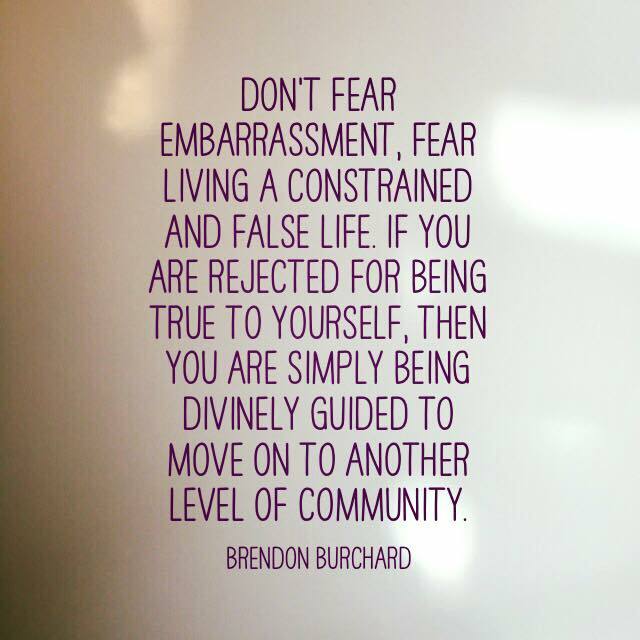 You lose it when you conform with others and lose your faith in yourself. You must believe that no matter the situation or struggle you find yourself in, you’re going to figure it out. Give yourself the gift of belief, and soon you’ll try newer and harder things and expand the very definition of your self. 4. Social sharing. Emotional mastery emerges from expressions of honesty and vulnerability. Silence about who we are and what we think and want only leads to suffering. Don’t be afraid to share more – you can be sensitive to others while remaining truthful to yourself. The important thing is to voice what you really think, feel and want in the world more consistently, regardless of the world’s reaction. That, ultimately, develops courage. 5. Self-talk. Emotional mastery requires that you give yourself cues. You literally have to tell yourself how to feel and how to respond to life’s challenges. Start the morning by telling yourself how you want to feel today. Give voice to your feelings and command yourself to say and do things that make you proud. These are the fundamentals of developing greater emotional control and mastery. Watch the video above for the full lesson so that you can continue living #TheChargedLife! How do you develop emotional mastery? A lot of folks go through their lives feeling bad about themselves. They go through their lives and they’re not resilient when the crap hits the fan. They go through their lives not understanding other people, or worse, not understanding themselves. So, throughout the day, they’re just emotionally up and down, controlled by doubts, fears, hurt, anger and reaction. They never get to that point where they feel like they really connect, wherein they really have any solid feelings about themselves that endure despite the situations they find themselves in. Everything is so situational for them emotionally that it’s just a constant battle to feel good. I hope that that isn’t the case for you, but for a lot of people, it is. So let’s talk about five ideas to develop emotional mastery in your life so that you can have more of a continuing feeling and sense of self and strength. Before we even talk about your emotional world, let’s make you more informed about the emotional world of others. A lot of people have never really observed the feelings that other people are experiencing. They’re always in their own thing. I wouldn’t call them narcissistic, per say, but they’re in that sort of tragic place where everything’s about me, me, me. How do I feel? What do I think? What’s happening to me? And sometimes, the real understanding about ourselves comes from our connection to humanity and the feelings of others, because the feelings of others can give us perspective into the feelings of ourselves. When you go volunteer at a soup kitchen, a domestic abuse center or somewhere where people are struggling, it helps you develop a greater level of gratitude and appreciation. It helps you develop concern for others. If we don’t have concern for others, it’s hard to have real concern for ourselves. And, if we don’t have more concern for ourselves, then we won’t even pay attention to our emotions. We will just keep choking it down and pushing it away. So first, before you develop any emotional mastery in life, it’s about time to connect with other people’s emotions again. See how they feel. Pay attention to what they’re saying. Try to read into body language a little bit. This is not to make assumptions, but to rather seek understanding in other people again. When you’re watching a movie, when you’re having lunch with your wife, when you’re talking with the kids, start asking yourself, “What are they feeling? What do I feel like they’re thinking?” And then ask, “Is this what you’re feeling? Is this what you’re thinking?” The more you’re able to identify other people’s emotions, the more you might learn something about your own. To develop a greater connection and strength with yourself, develop a greater connection and strength with other people. That’s a big leaping point and breakthrough for a lot of people. Here’s how to approach other people and the world: I’m in charge of my emotional world. I don’t have to react to other people. If they’re angry, I don’t have to become angry. I’m autonomous. Even though we’re all one, I’m separate from, and I can control my thoughts. I don’t have to have a emotional contagion all the time, where I just react to other people’s emotions and I become like them. You don’t have to let your mirror neurons in your brain win, wherein you just mimic other people. If you’re running through life constantly adjusting your emotions to everybody else, just modeling, mirroring or mimicking them, then it’s going to be a disaster. You’re on this emotional rollercoaster all the time. You need to define how you want to feel, and how you want to interpret the situation. Self-reliance means that you are in charge of your life, and that you are the one who is going to change things. 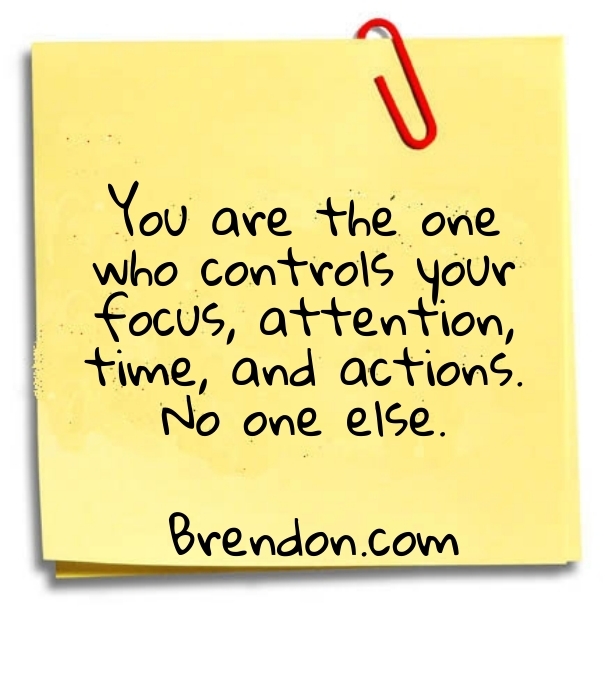 You are the one who controls your focus, attention, time, and actions. If you’ve studied my work before, you’ve heard this statement I say all the time. There’s only two things that change your life. Either something new comes into your life and that shifts it. You get into a new relationship, you discover a new idea or strategy, you win lottery, or something happens that changes the course of your life. Or, something new comes from within. If you are committing to emotional mastery in life, you need to commit to generating the emotions that you want to experience in your life. You need to commit to managing your emotions and not allow others to manage them. Self confidence is not something that’s going to come tomorrow, or the next day, or the day after another million achievements. It’s not going to come after you get certified, or after you get the degree. You have to commit to developing self-confidence now. Self-confidence means that you’re choosing to express who you are. I’m going to choose to believe that no matter the situation or the struggle that I’m in, I’m going to figure it out. I’m going to approach the situation like Sherlock Holmes. Sherlock Holmes is always confident that he’s going to figure it out. He is curious. He is inquisitive. He has no idea what the heck’s going on, but he is not terrified. You need to start addressing uncertainty that way. Emotional mastery comes from finding a place that’s stable, paired with this perspective: I don’t know what this uncertainty is. I have plenty of reason to doubt, but I’m not going to doubt myself. I’m going to trust that with enough time, attention, energy, resources, action, and discipline, I will figure out the way of the land. People ask me how I walk into any social situation with the same level of confidence. The reason why I can do that is because I realize that fear and doubt aren’t going to serve me in that situation. I know who my masters are. 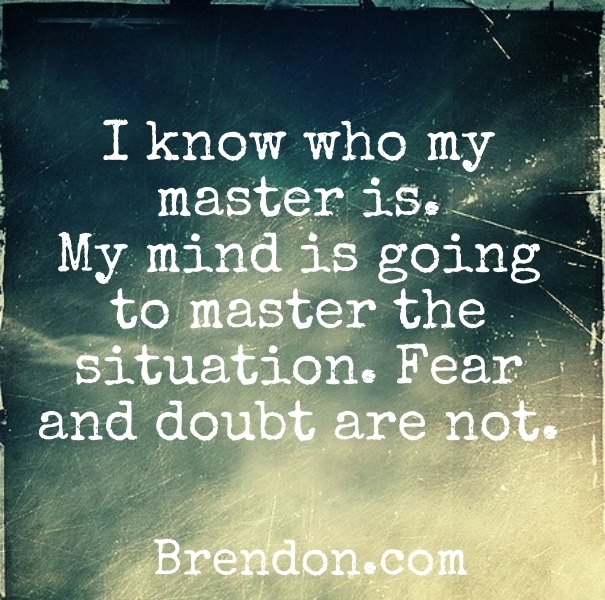 My mind is going to master the situation, and fear and doubt are not going to run me. And I choose to acknowledge that I don’t know these people, but I’m confident that if I talk with them a little while, things will go fine. I might put my foot in my mouth and say stupid things, but if they give me another three minutes, I will turn it around. I just trust in my ability to figure things out. That’s self-confidence. That gives me emotional mastery. 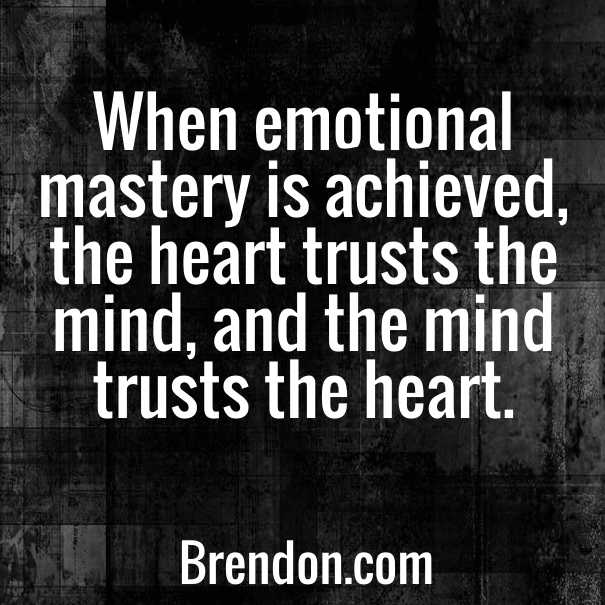 Emotional mastery comes from vulnerability. Vulnerability has gotten this weird wrap in the world because a lot of people have been teaching it poorly. 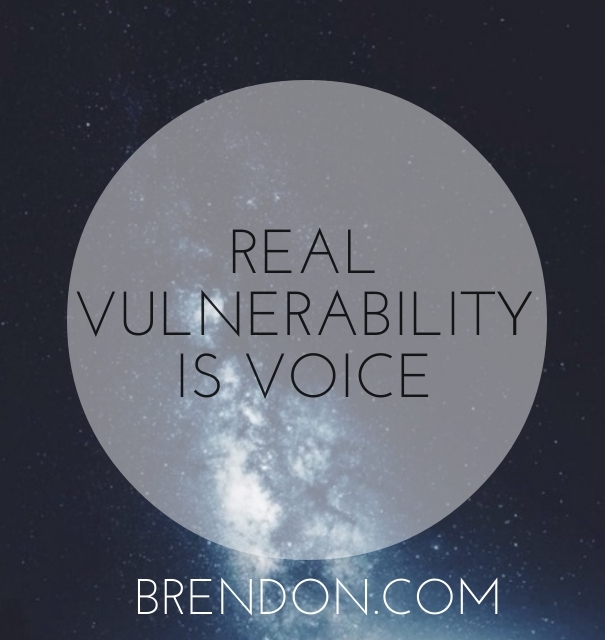 Real vulnerability refers to believing in and accepting my truths, but more importantly, it refers to the strength to share my real thoughts, feelings, desires, and needs with people. It’s not just about allowing and accepting your feelings in each moment; that’s only half the coin. The other side of the coin that makes all the difference in the world is when you voice your vulnerabilities. Does the world know what you really think? Do your friends and family know who you really are, what you really feel and what you’re really after? If you’re not voicing those things in some way, that silence will lead to suffering. It’s time to tell people what you think, even if they might not like it. It’s time to tell people how you feel, even if they might not like it. It’s time to tell people what you desire, even if they don’t believe in you. That’s real vulnerability, and that’s social sharing. It’s important to socially share with responsiveness, responsibility, and empathy. You can be sensitive while remaining truthful. The important thing is to voice what you really think, feel and want in the world more consistently. If you do that, you’ll develop confidence and the ability to I trust yourself to say what is true. A lot of emotional mastery comes from that self-honesty. Self-talk means that you tell yourself how to feel and how to respond. I have an emotional mastery because I do those things. If I get upset about something, I will take a beat and ask myself how my best self would respond to this situation right now. With emotional mastery, you have to give yourself cues. You have to give yourself affirmation. You have to tell yourself how to think, feel and act. It’s not about hoping the perfect ‘you’ comes out. Emotional mastery comes from you telling yourself what to do and you doing it enough over a period of time that your brain and your emotions fall into a state of integrity between your mind and heart. When you gain emotional mastery, your heart ends up trusting your mind, and your mind ends up trusting your heart. And that only happens with practice. Generate the emotions that you want to feel today. Change your focus. Talk to yourself. These are the keys, the fundamentals, of developing greater emotional control, greater emotional mastery. You deserve those things. However, they won’t come naturally.You have to try. Challenge yourself to develop in each of these areas of your life and you will start to experience more of what we call The Charged Life.